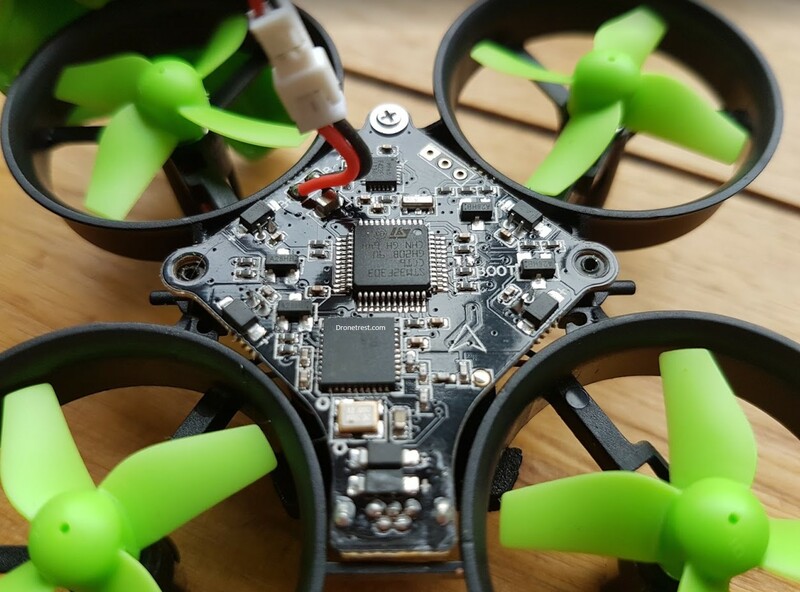 The world of micro brushed FPV quadcopters is getting better and better with so many new product releases, however, is the CrazePony Micro FPV worth buying with so much competition on the market? The short answer is yes. This FPV quadcopter has great indoor flight performance (thanks to the upgraded motors), looks good, and is reasonably priced. 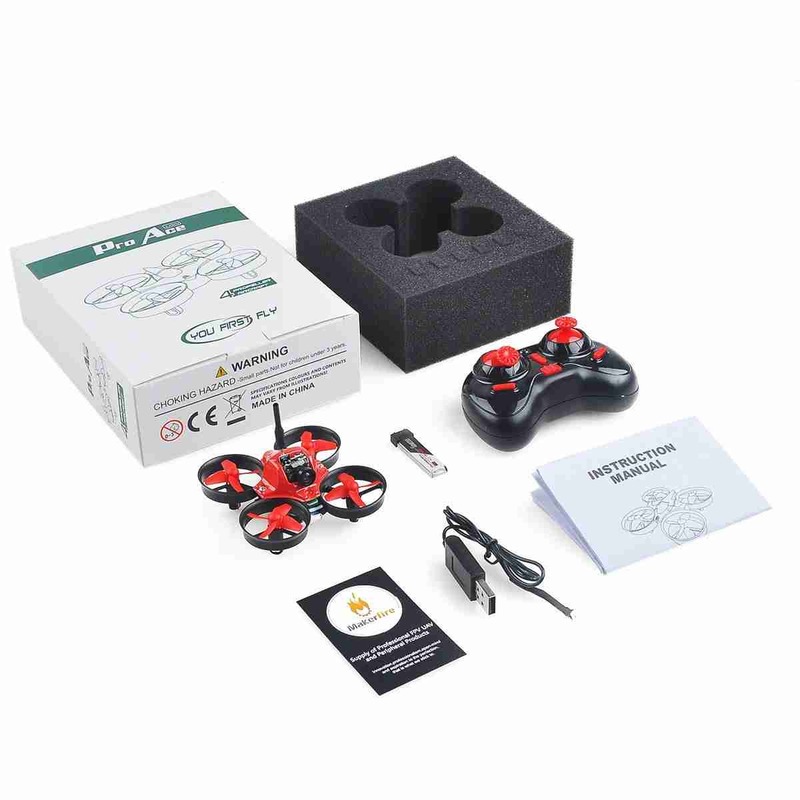 RTF Kit (based off the Eachine E010 quadcopter) which includes a small little controller making it ideal for beginners who want to get a fell for FPV without any complications of setup. In this guide, I have reviewed the Spektrum Bind and Fly kit. 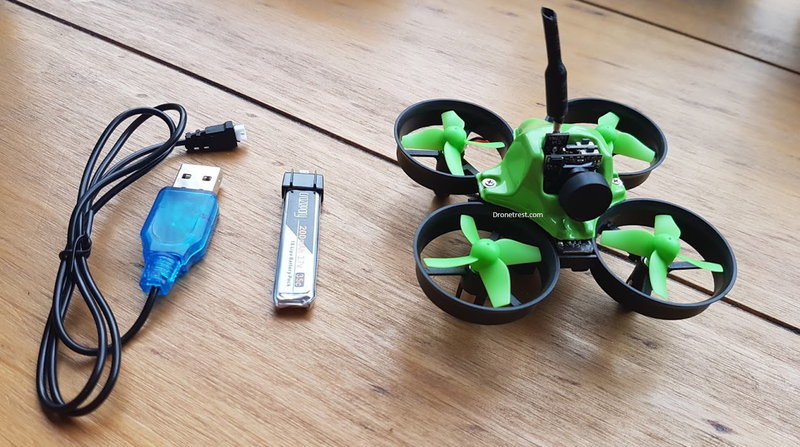 You do not get many extra parts with your MakerFire TinyWhoop, as you just get the prebuilt Quadcopter frame a battery and a USB charger, so just the bare essentials. We are giving away the unit we used to review to one of our readers! The only thing to bear in mind is that if you are not based in the EU, we will not be able to send any batteries to you due to shipping restrictions. Nice foam battery mount, no need to fiddle with any velcro. Our version used an F3 controller with BetaFlight firmware. Small battery so flight time is limited to about 3-4 Minutes. This is not all that bad, as the QX70 has a 600Mah battery but it flies like a brick, this tinyWhoop is much more agile. No options for other built-in receivers, there is an option for a Frsky compatible receiver, but this is a separate extra receiver that you need to add on. Overall this is a great looking micro brushed quadcopter that also flies well. It does not solve the short flight time problem (as is with all micro quads), but it is hard to overcome this without compromising on flight performance, given current battery technology. 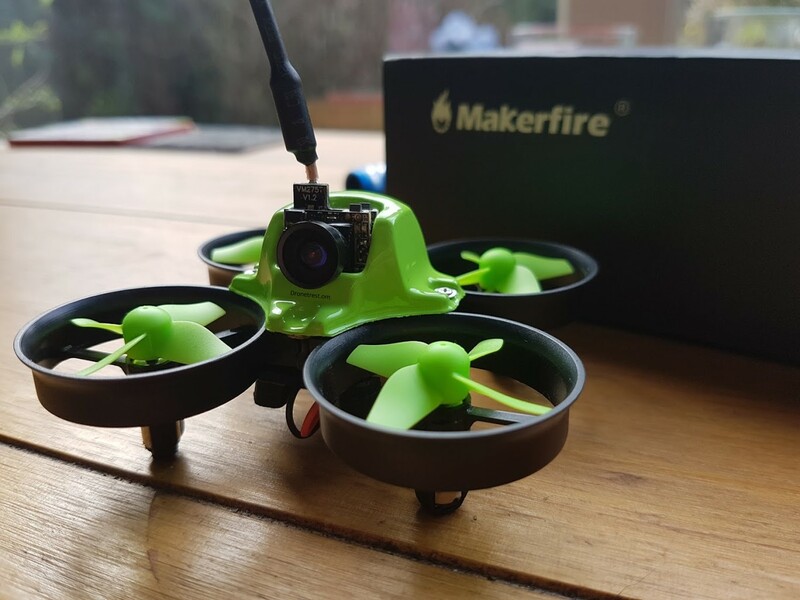 If you are a beginner or want to get a friend addicted to FPV, then the ready to fly kit is a great way to get started since you only need to add some FPV goggles. 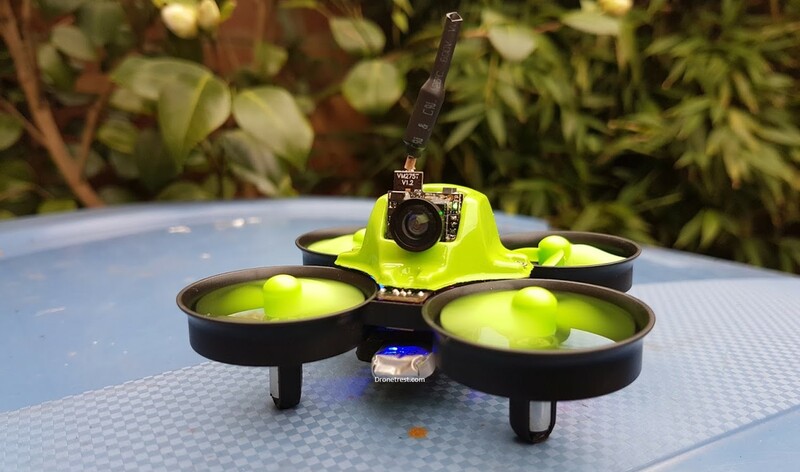 The build quality is great and the quadcopter itself is robust enough to handle most crashes indoors. The design was also well thought out as the motors and camera all use connectors, so replacing them is just a matter of plugging in a new one. 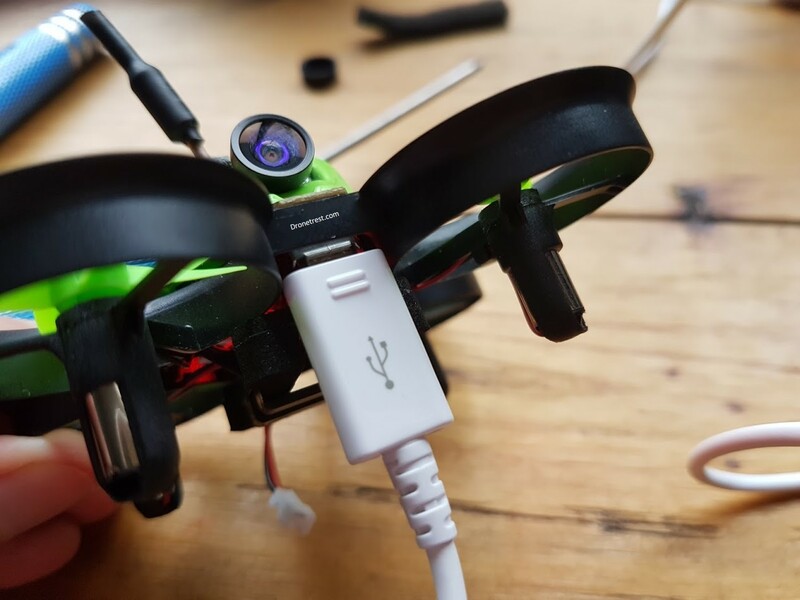 As mentioned there is also an option for the F3 controller version, so if being able to fine tune your quadcopter this is a must this is the version to go for. 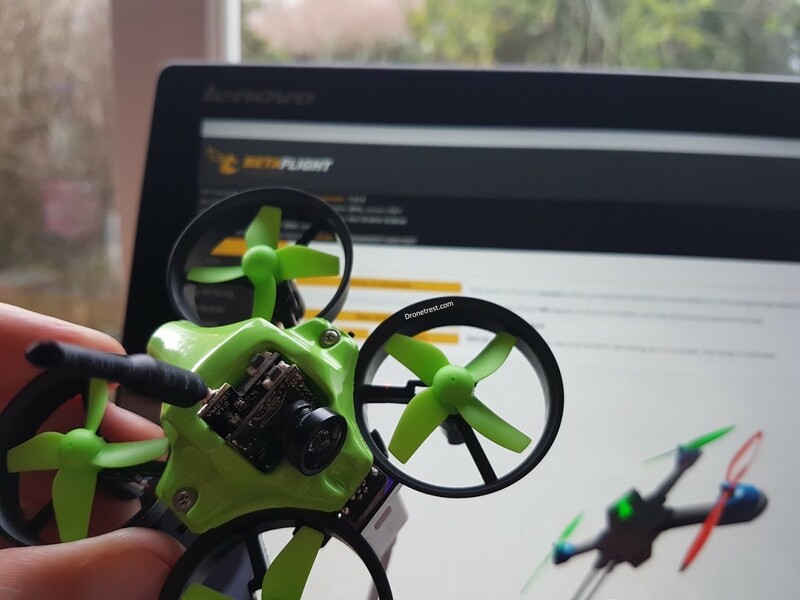 If you already have a Spektrum radio then its a good idea to get yourself the bind and fly version as it runs an F3 flight controller with betaflight, so you can always update the firmware easily to use tune the quad to your preferences and use the latest features betaflight has to offer! Furthermore, the USB connector is conveniently located on the bottom of the frame so its easy to hook up to your PC. 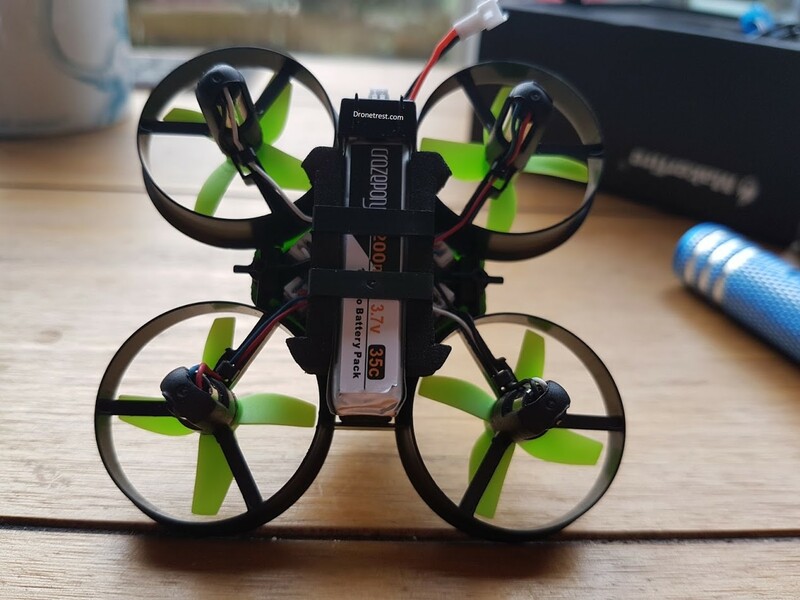 If you do not want to use Spektrum (DSM2/DSMX), there is always the option to add your own micro receiver, but this adds more weight, further reducing the flight time. The lightweight plastic frame and prop guards on this Tiny Whoop mean that it can literally bounce off walls! Have a look at the video below for some slow motion footage of the little quadcopter crashing into a brick wall a few times, and each time it just bounced off. 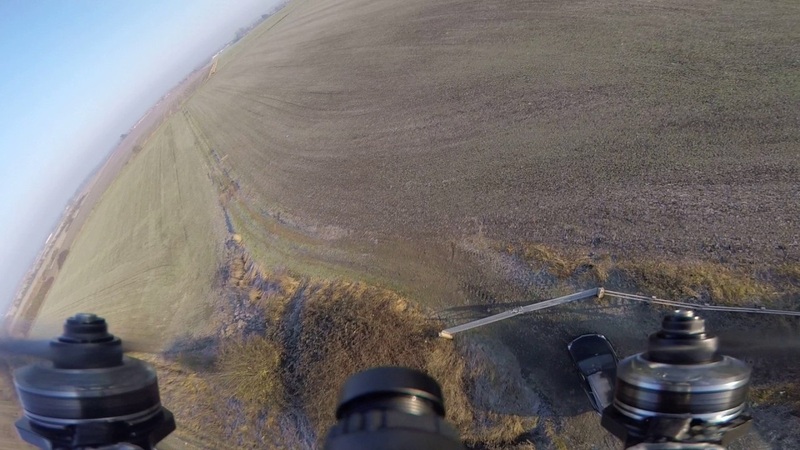 The worst damage I was able to inflict was the FPV camera falling off. But then I just clipped it back in and it was good to go (after a battery charge). 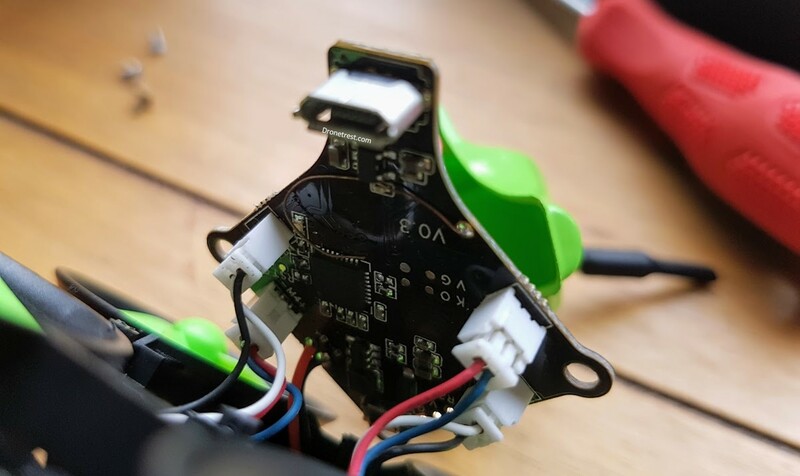 Due to the way the frame and electronics are designed if it comes to repairing something, you will not need to do any soldering since the motors, and camera all have dedicated connectors. So when you replace a motor, you just need to unplug the old one and plug the new on in its place. The only annoying thing is that it seems that no shop seems to sell all the spare parts in a single place, so below is a list of the cheapest spare parts I could find from various shops on the internet. Extra Batteries with 5in1 charger – a highly suggested upgrade so you spend less time waiting to charge the batteries. 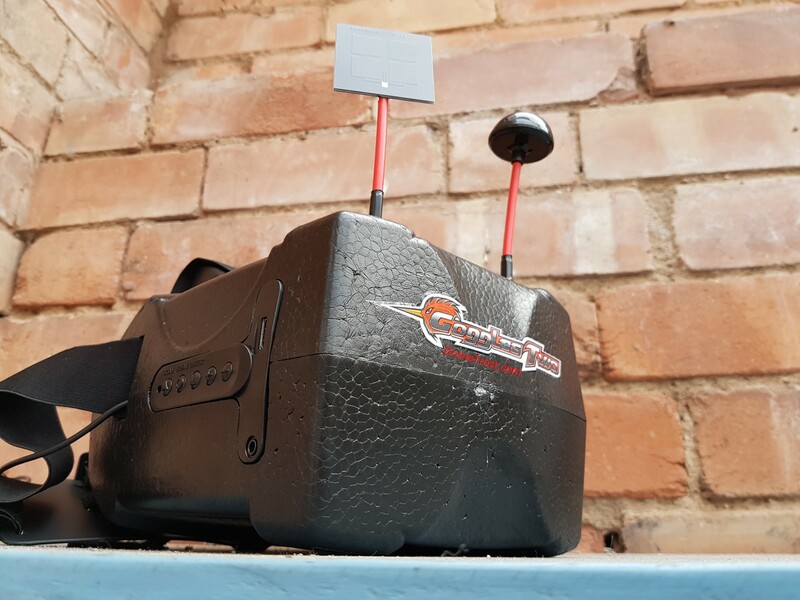 If you do not have any FPV goggles already, then the FuryBee FPV Goggles are a great unit to order along with your TinyWhoop. So there you have it, overall its a great take on the TinyWhoop in a neat package that flies well. Anyone who gets this will have loads of fun flying indoors and its a great way to get started with FPV flying. If you have any suggestions, questions or comments add them below!